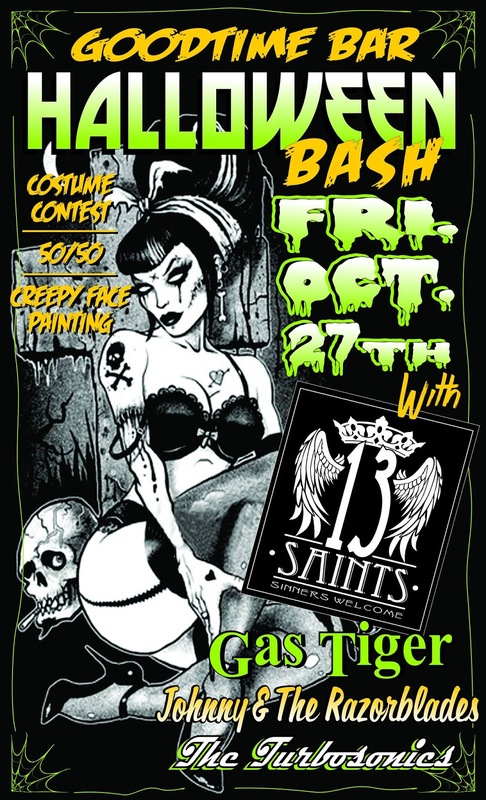 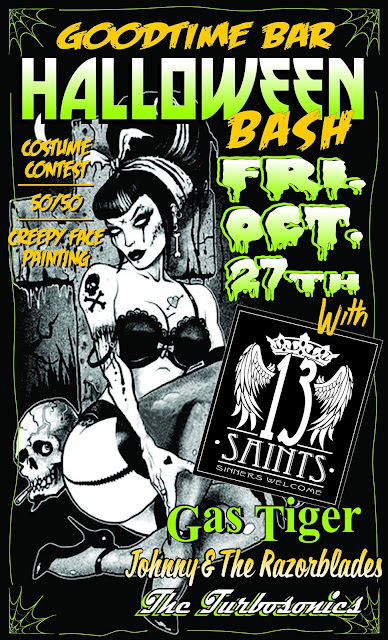 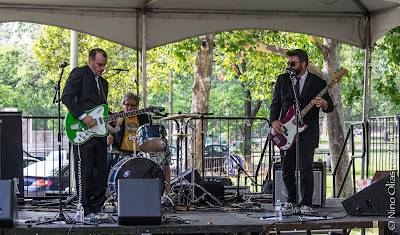 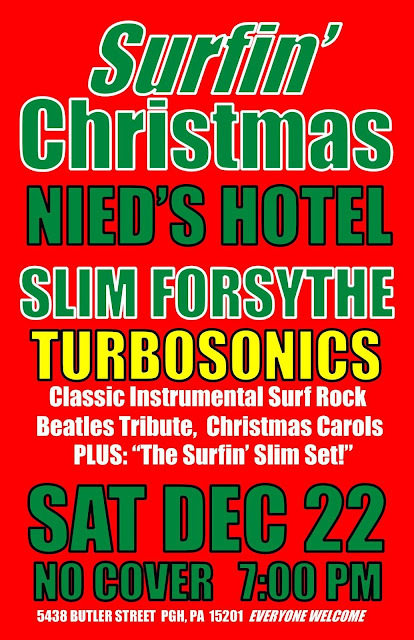 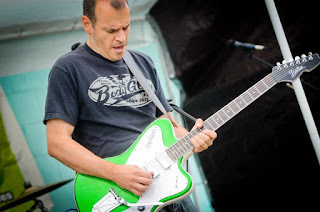 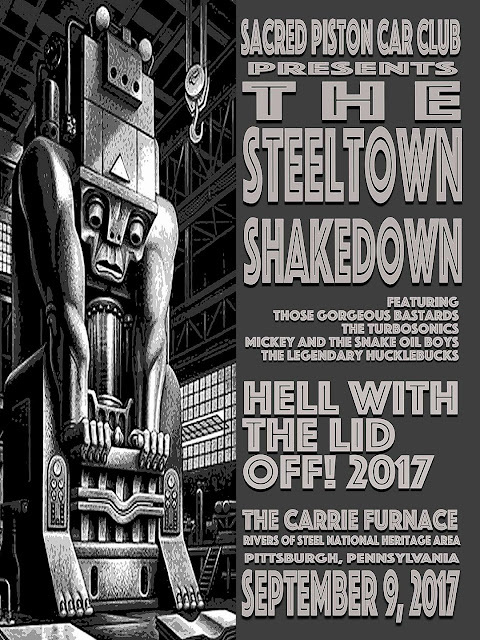 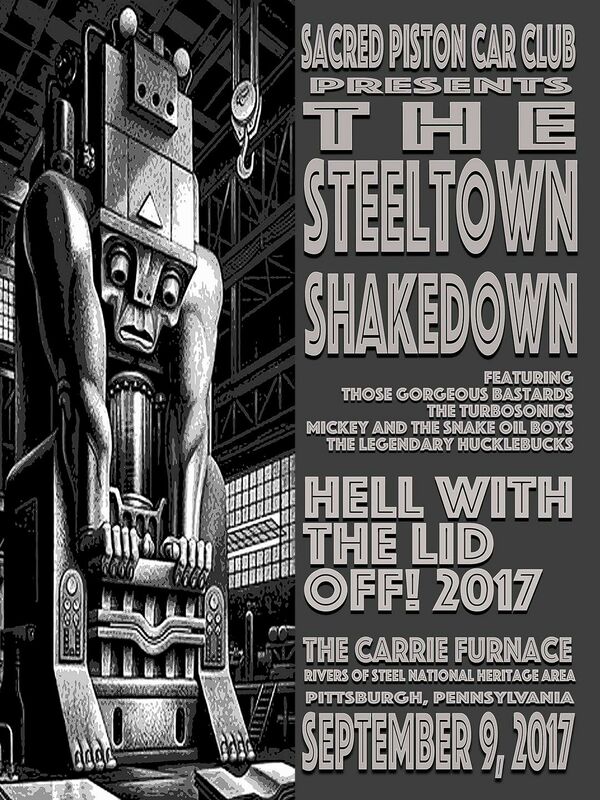 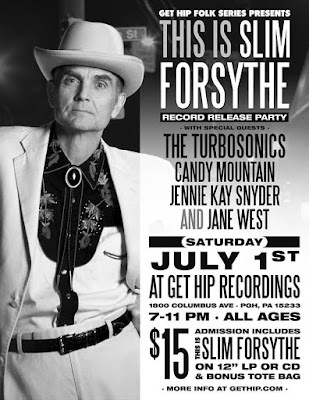 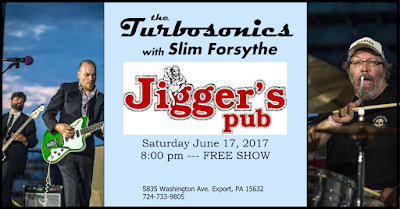 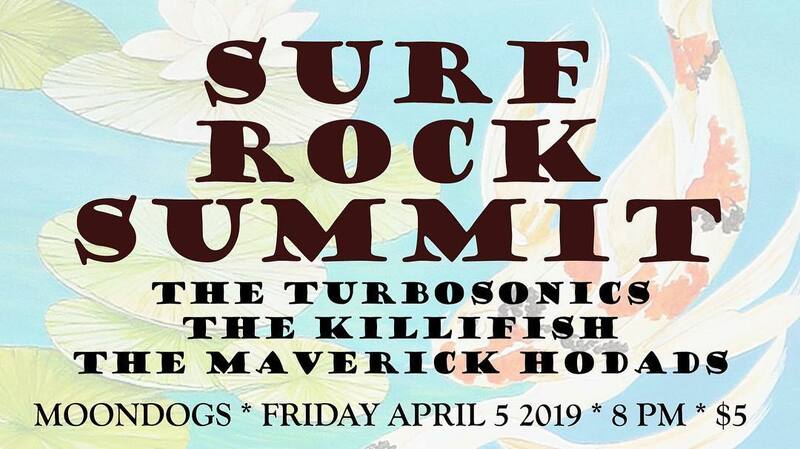 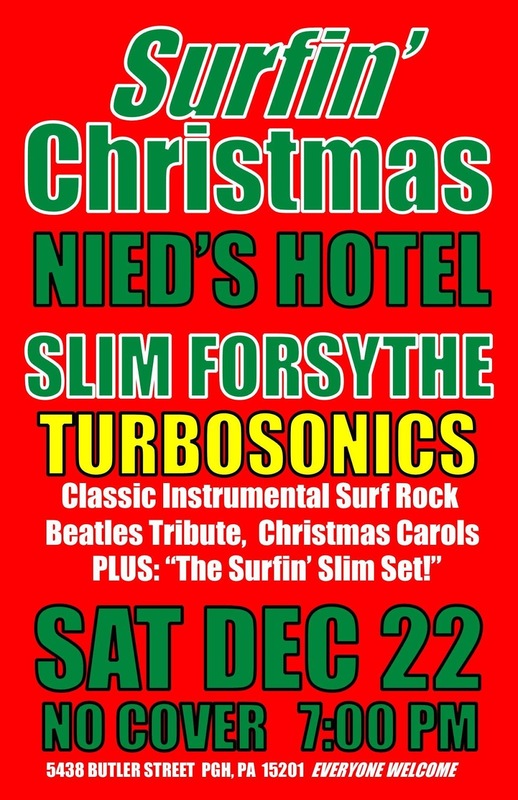 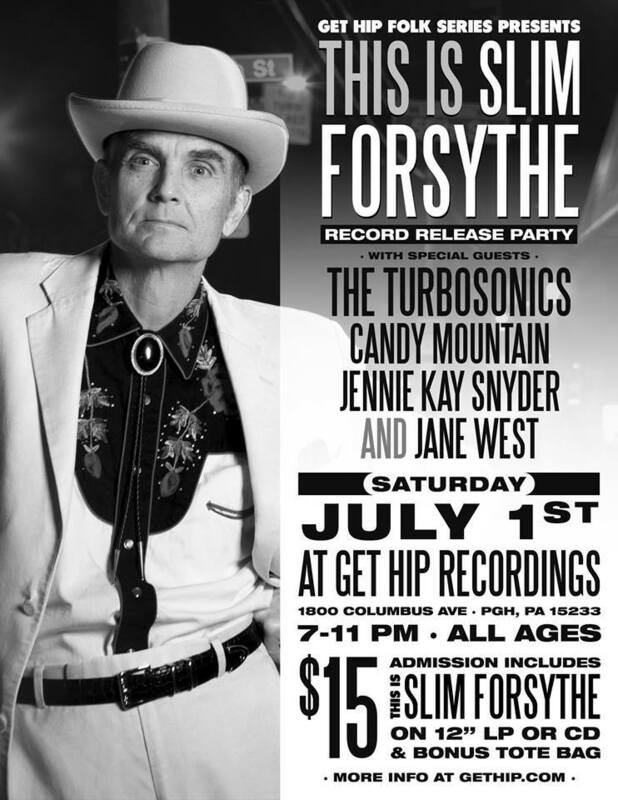 The Turbosonics headline this surf rock showdown at Pittsburgh's historic Moondogs Pub! 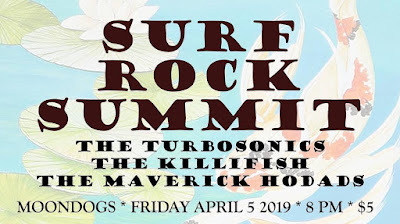 Joined by newcomers, The Killifish, and locals shredders, The Maverick Hodads, this lineup is sure to please! 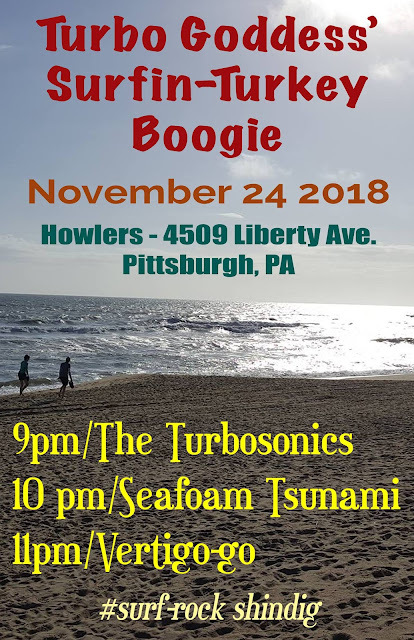 Turbo-Goddess Beach Band Boogie ! 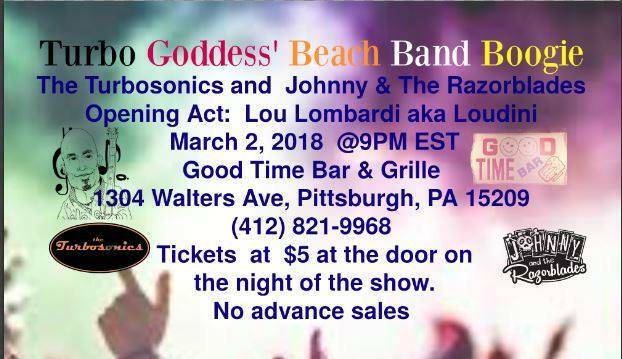 March comes in like a Lion, when The Turbosonics return the the Good Time Bar and Grille, Friday March 2.